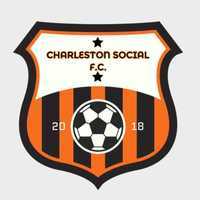 Welcome to Charleston SC's adult pickup soccer club! PLEASE DO CHECK IN TO WEEKEND GAMES SO OTHER PLAYERS KNOW WHETHER OR NOT THERE WILL BE ENOUGH ATTENDANCE THAT DAY. IN DOING SO, YOU’LL ALSO SEE ANY LAST MINUTE FIELD CHANGES OR TIMING ADJUSTMENTS VIA THE EVENT CHAT FUNCTION. -UPON signing in to attend a scheduled game, only then can you participate in the chat function with other players attending that day’s game. Corrine Jones field - corner of Hester and Maple Streets in downtown Charleston, SC. These days require more communication to maintain attendance, so expect an event invite for these three days each week. Currently Friday is at 6pm, with Saturday and Sunday starting at 3:30pm. 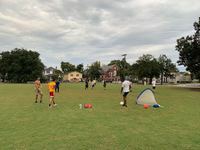 All three days, unless changed on their individual event, will be held on McMahon Field (corner of Rutledge Ave and Moultrie Street downtown.. in front of Hampton Park). We use small pug goals to encourage more passing, and the overall level is intermediate to advanced. This group’s aim is a competitive intermediate level of play, therefore beginners will not likely find enjoyment playing with this group. Due to the small goals we use, please do not goal-tend. Everyone is playing for the purpose of scoring goals, and having a grown adult guarding a small 4ft goal, booting away any ball that comes their way, does not improve the quality of play. For those who attend, please bring a respectful / team mentality to our games. The honor code is key. No one wants to get hurt, so please attempt to play within your means of control, as well. All are welcome, male and female, teenagers on up. Weekday time 6pm - Mon-Thursday. Invite reminders will continue until next Monday. 5 days ago for Saturday Pickup Soccer - 3:30pm weekend time! a month ago for Today’s Pickup 5pm — won’t happen unless enough check in to play. 2 months ago for Saturday Pickup Soccer - 3:30pm weekend time! 3 months ago for Saturday Pickup Soccer - 3:30pm weekend time! 4 months ago for Sunday Pickup Soccer - 3:30PM McMahon Field - Players arriving more than 15 mins late (if game started) may need to wait to form 2nd game. 4 months ago for Saturday Pickup Soccer - 3:30pm weekend time! 4 months ago for Sunday Pickup Soccer - NEW 3:30PM TIME! 4 months ago for Per request- Today Christmas Day game... Join to play! Will only happen if enough join. 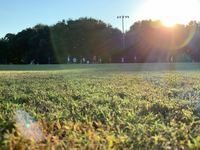 4 months ago for Saturday Pickup Soccer - NEW 3:30pm weekend time! 5 months ago for Sunday Pickup Soccer - NEW 3:30PM TIME! 5 months ago for Saturday Pickup Soccer - NEW 3:30pm weekend time! 6 months ago for Saturday Pickup Soccer - PLEASE CHECK IN IF YOU PLAN TO COME! 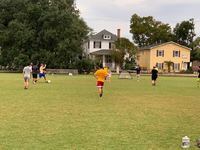 7 months ago for Saturday Pickup Soccer - PLEASE CHECK IN IF YOU PLAN TO COME! 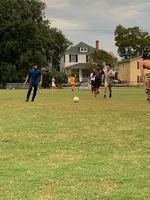 I'm looking to play soccer with others as often as I can.